How Can I Go A Plus Family Dentistry? Where is A Plus Family Dentistry in San Diego on the Map? I'm in love. I have never been to a more thorough dentist ever. The staff was kind, caring, patient, and considerate. They took the time to explain absolutely everything to me, even using visual aids to help me better understand. The technology was definitely first rate. A Plus gets an A+++ from me. It's my new permanent dentistry! Thanks for everything Dr. Janice and Jenny! Great service. Very professional. She is very polite and friendly, making the experience very comfortable. She tells me exactly what I need and how much it cost before the service is done. Also, I've learned a lot from her because she is very open to any questions and I knew some of my questions were pretty stupid but I'm sure she's heard it all, so don't be afraid to ask them. She cares and explains to me thoroughly what I needed to get done. Definitely a return customer here. I love coming to this place even on Valentine's Day. Everybody is very Friendly and knowledgeable. I have nothing but great thoughts when I go to the dentist. Happy Valentine's Day to A+ Family Dentistry! 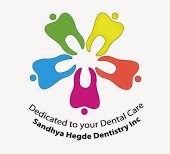 Thank you for taking great care of my teeth and gum and my overall health. 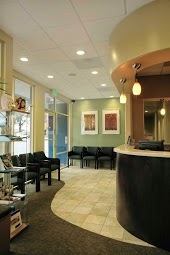 If you are looking for excellent dental skill, service, and atmosphere, in the San Diego area, this is the place for you! I've also price-checked and discovered that Dr. Janice and Dr. Justene are competitively priced and offer financing as well. However, the quality of their work is top-notch, not just average, so you receive high value for your dollar $$$$ !! I can safely recommend this dental office to anyone for any dental situation. Remember...there are dentists--and--THERE ARE DENTISTS! These two are the best! Thanks to the whole office, too, for such an efficient and friendly environment. Your teeth and smile will thank you! They took great care of me and informed me all about what was happening with my mouth. They made sure to check in and make sure I was comfortable with everything they were doing. They are very serious about preventative care. Thank you so much for taking good care of my mouth! !